Five new board members are also appointed. The Keiro Board of Directors announced Wednesday the appointment of Leona Hiraoka as the organization’s new president and chief executive officer. She succeeds Shawn Miyake, who stepped down last year after a tenure of more than 20 years. Gene Kanamori has been serving as interim president and CEO. Additionally, Keiro named five community leaders and established professionals to its board: Kimiko Fujita, Claire Koga, M.D., Jack Kurihara, Lisa Sugimoto, Ed.D., and Dennis Sugino. Having sold its nursing homes in Lincoln Heights and Gardena and its intermediate care facility and retirement home in Boyle Heights to Pacifica Companies LLC, Keiro says it is transitioning its service to the community to meet the needs of older adults. In July last year, Keiro launched a nationwide search for a new president and CEO and began efforts to transform the board, identifying individuals with experience and skills necessary to successfully implement its new programs. Hiraoka, who is relocating from the East Coast, is a senior executive and enterprise-level strategist with extensive experience in media, communications, marketing, program innovation and organizational development. Her portfolio includes successes in strategic planning, brand management and nonprofit/business alliances. She is the CEO and founding partner for Integrated Media, a marketing and communications firm, and is vice president, communications, for Points of Light in Washington, D.C., an international nonprofit dedicated to advancing volunteer service and corporate social responsibility. She has been integral to the organization’s work across global markets mobilizing volunteers to take action and make a difference in their communities. Hiraoka previously served on the executive staff of the National Education Association and was former associate managing editor at The New Republic. 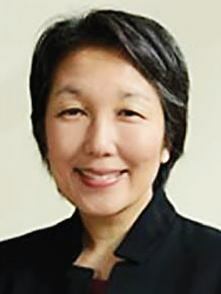 Originally from Southern California, Hiraoka remains active with several prominent organizations, including the U.S.-Japan Council, serving on the Board of Directors and chairing the Communications Committee. She is vice president of the Washington, D.C. chapter of Japanese American Citizens League (JACL) and served on the editorial board for JACL’s national publication, Pacific Citizen. She is also a member of the Asian American Journalists Association. With Hiraoka’s appointment, Kanamori will become the organization’s vice president. He will continue to play a critical role in the planning and implementation of Keiro’s three program areas: Services to Older Adults, Support of Caregivers, and Programs for Residents of Keiro’s Former Facilities. The Board of Directors is responsible for overseeing the organization’s activities, focusing on its mission, strategy and goals. With the addition of its five newest board members, all of whom have been actively involved with community groups and nonprofit organizations, Keiro benefits from a wide range of expertise. • Kimiko Fujita is president of the Orange County Japanese American Association (OCJAA). She was the vice president of Senior Foundation Charitable Corporation and organized fundraising activities to support Keiro. An accomplished Yamaha music instructor and performer, Fujita is the owner of the Yamaha Music Centers in Irvine, Aliso Viejo and Torrance. • Dr. Claire Koga has a background in geriatrics and practices family medicine at Kaiser Permanente. She received her medical degree from Keck School of Medicine of USC, is board certified in family medicine, and has been in practice for more than 20 years. • Jack Kurihara has more than 35 years of experience with health systems and hospital corporations. He is currently director of strategic development at UCLA Health System, where he oversees strategic development and external physician outreach staff. Kurihara is involved with the Venice Japanese Community Center and previously served as its president. • Lisa Sugimoto, Ed.D. previously served as vice president of student and learning services and interim president of Pasadena City College. At the request of the newly appointed president, she continued at the college as the vice president of advancement. She is currently a senior associate with PPL, an educational consulting firm, and is also an alumni fellow in the Educational Leadership Program at UCLA. Sugimoto has served as a board member for the Association of California Community College Administrators and served as its past president. • Dennis Sugino recently retired with over 30 years of institutional investment experience. He volunteers with several organizations in addition to Keiro. He is an independent board member and chairs the Audit and Cybersecurity Committee of The Investment Fund for Foundations, which manages over $9 billion in assets for endowments and foundations. For more information on Keiro’s programs and services, visit www.keiro.org.